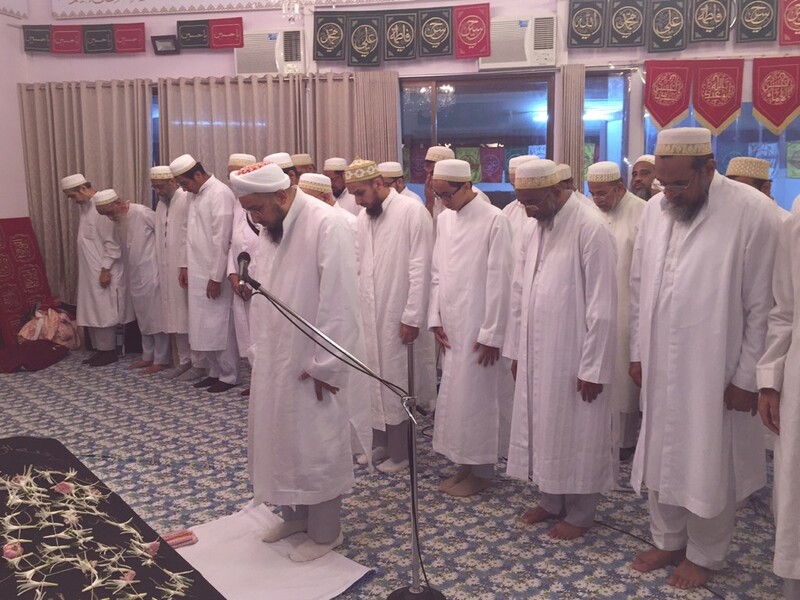 Syedna Taher Fakhruddin TUS led janaza namaaz of Husaina bai Babasahi at Darus Sakina on 2nd raat of Muharram (Sunday, 2nd October) in Iwan-e-Fatemi. Syedna TUS also bestowed doa Mubarak for the marhoom for rehmat, shafaa’at of Panjetan, A’immat and Do’aat and for her family for Sabar. Earlier, Shehzada Abdeali Bhaisaheb Saifuddin led janaza namaaz of Younus bhai Shaikh at Darus Sakina on 23rd Zil-Hijja (Saturday, 24th September) in Iwan-e-Fatemi. This week, Shehzada Abdeali Bhaisaheb led janaza namaaz of Tara bai Shaikh (wife of Younus bhai) at Darus Sakina on 3rd Safar (Thursday, 3rd November) in Iwan-e-Fatemi. 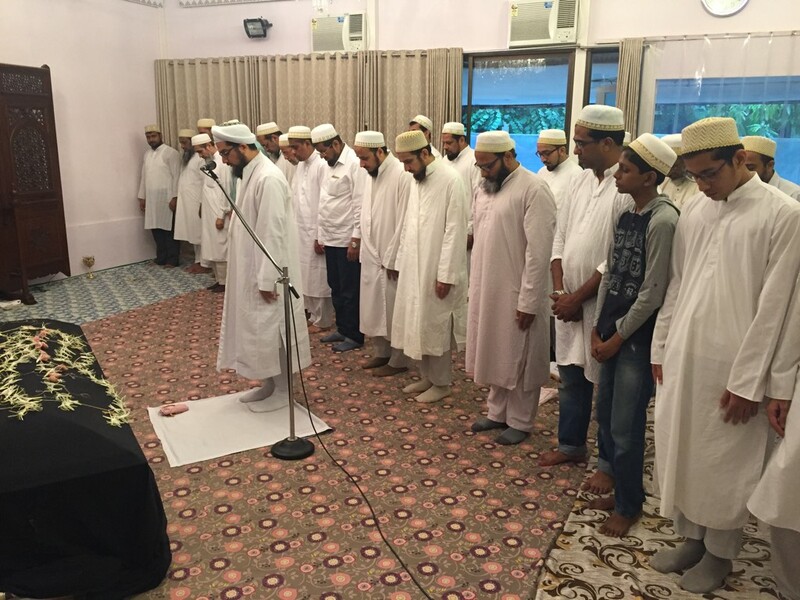 They were buried in the Dawoodi Bohra Qabrastaan in Kausa (Near Mumbra). 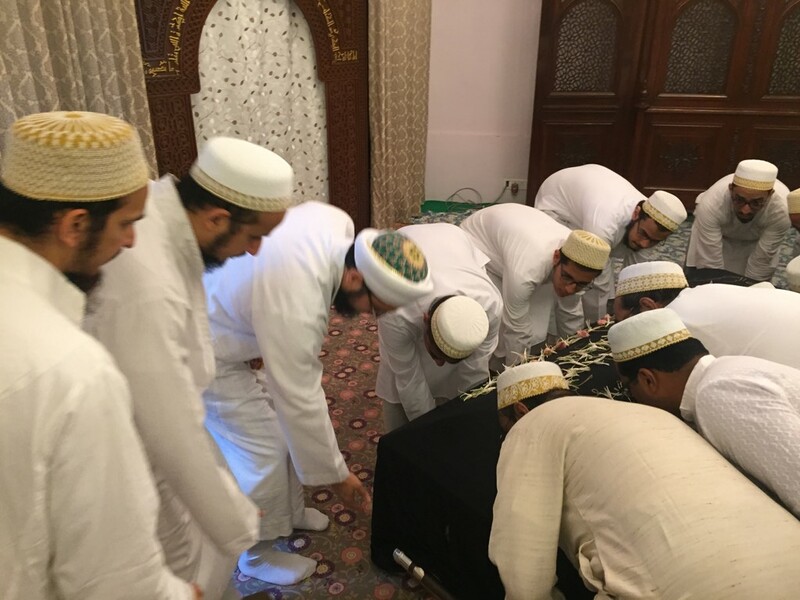 The Fatemi Dawat Janaza Committee ensured that the janaza ghusl kafan and dafan was performed with dignity and correctly per the rites of our Fatemi mazhab, and that the family of the deceased were cared for at every step of the way. All of this is only made possible by the guidance, raza and doa mubarak of our Aqa Mola Syedna Taher Fakhruddin TUS. May Allah ta’ala grant Younus bhai, Husaina ben and Tara ben rehmat and Jannat, and shafaat of our Mawali Tahereen, especially the 51st, 52nd, and 53rd Dais.